The EZ-BAG is an all-weather cover for the EZGO system. It is designed to protect the EZGO in transit and use. The SWB40 is a heavy duty wall mount bracket for loads up to 40kg. It is slewable for 180° and tiltable from 90° to 110° downwards. The complete system is from black powder coated 2mm steel. 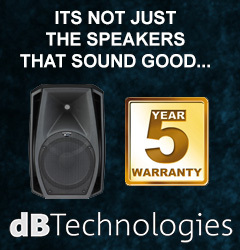 The WPB-3 is equipped for use with the Wharfedale Pro Titan 8 and Titan 8A MKII, its maneuverability means it can be placed high and low on walls and still project its sound directly at the audience.